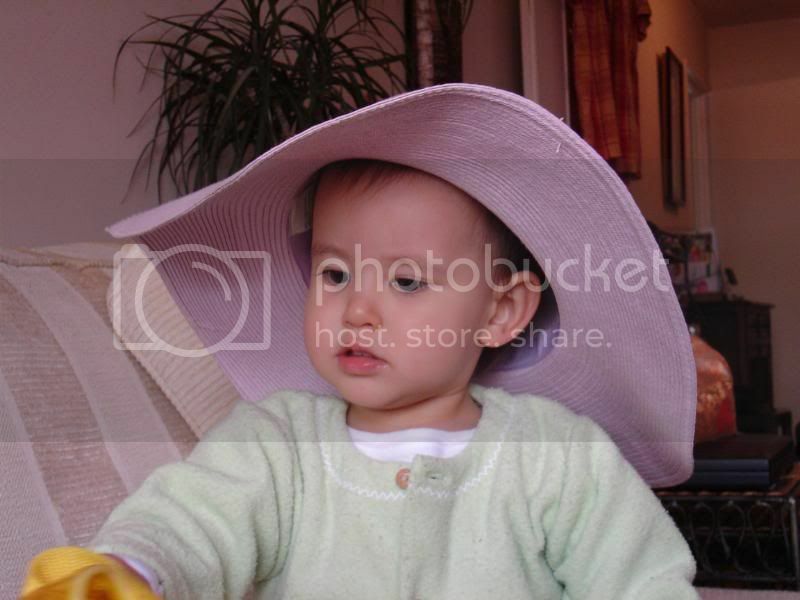 Across 2 Cultures - Cross-Culture Parenting and Lifestyle Blog: A few current pics. There has been a lack of photos updated recently and I finally managed to capture a couple of pictures over the weekend. It's getting cold in Paris with the temperature dropping to less than 20 degrees. We had to make sure that she is warmly dressed when we step out of the house. 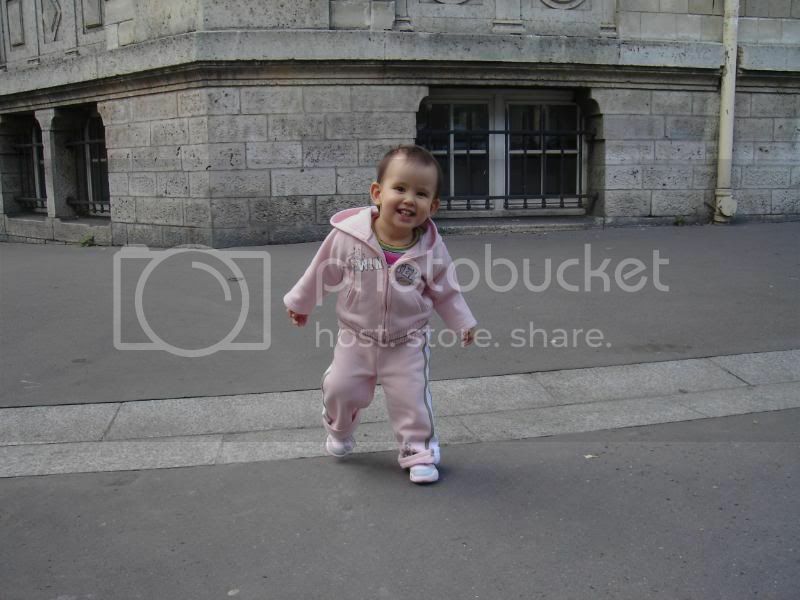 This was Laetitia walking along the street of Paris. 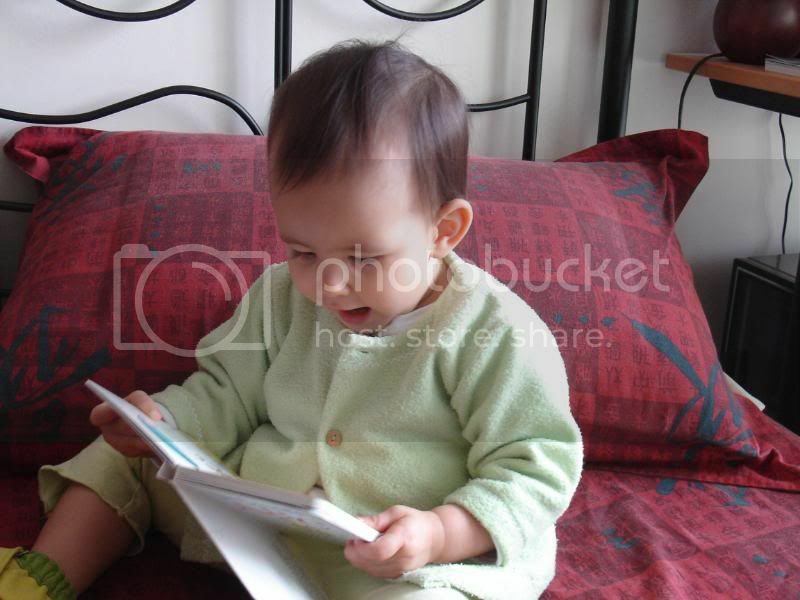 During one of her favourite activity time, reading. 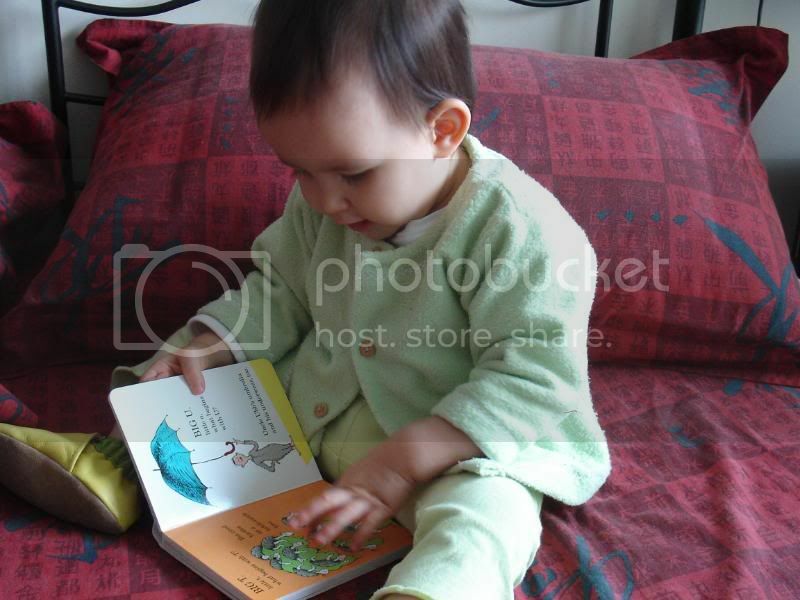 She is seen here enjoying Dr. Seuss's ABC: An Amazing Alphabet Book! 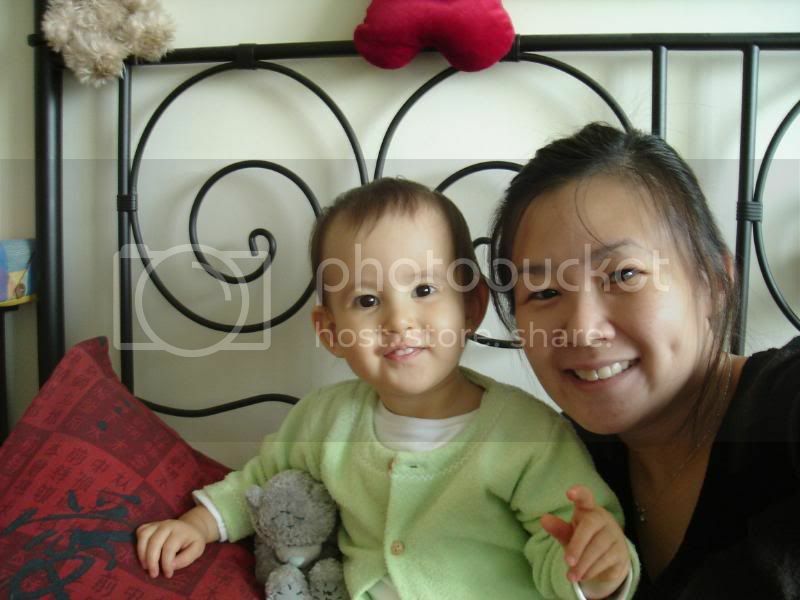 And finally a pic with her mummy. Please pardon the slightly runny nose of my little chou. She's such a cutie, Sandra. I love the first picture. She's looks so happy to be out and about. hi jie, you look great! laetitia looks beautiful! hope all is well for you and your family. send my regards to etienne. hope to catch up with you soon. i love you. God bless!